More than 70 offerings, from guided meditation techniques to on-the-go stress relief and relationship meditations interspersed with verse, and a section of special occasion prayers. 116 pages. I think you'll find this book handy as a home study course for all your meditation needs. 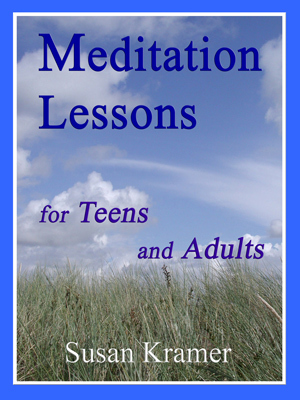 About the author - Susan Kramer is a graduate of Peabody Institute Preparatory Dance of Johns Hopkins University, and has been teaching meditation, yoga, dance and academics kinesthetically as a dance specialist since 1965.